Living in a cosmopolitan city such as Toronto has many advantages — especially if you love international cuisine. There’s an abundance of great, authentic restaurants offering the best Thai, Indian and Chinese fare. On the other hand, if you prefer to prepare your own meals, you don’t have to leave Toronto to buy the ingredients for delicious, Asian dishes. It doesn’t matter if you’re looking for geoduck or bulgogi; Asian grocery stores in Toronto carry a selection even wider than you need for the preparation of your favourite Asian dishes. 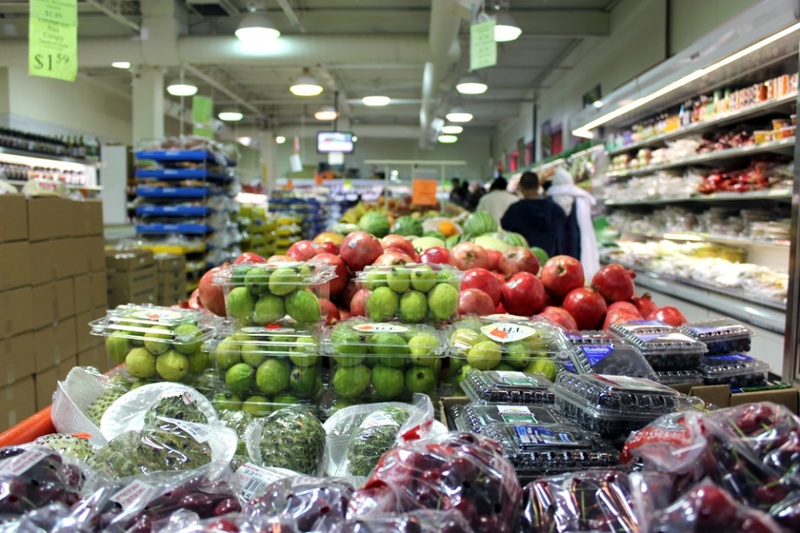 Iqbal Halal Foods is the largest Asian grocery store in Ontario that has been functioning for more than eighteen years. This huge store offers a wide selection of fruit and vegetables, Halal certified meat, dry goods, and lots of different bulk spices, nuts, and snacks. Shopping in Iqbal Halal Foods is like being transported to Southern Asia. They specialize in Indian and Pakistani groceries. The store is clean, very well organized, and reasonable priced. If you like beef, oxtail, or lamb, take a look at their meat counter. The meat is fresh and very tasty and the butchers are always willing to help you or give useful advice. Iqbal Halal Foods is a hidden gem that provides real South Asian treasure. PAT Central Market is a great Korean market located right in Koreatown, which provides a vast selection of East Asian groceries. They have an impressive variety of noodles, nori, and dumplings as well as lots of sauces, condiments, sweets, sliced meat, frozen fish, and huge amounts of kimchi. Furthermore, PAT Central has a decent selection of prepared foods such as bibimbap with which you just need to add rice. The prices are very reasonable, the staff is friendly and helpful, and the whole store is clean and well organized. They also offer Japanese products and appliances and the store features a very helpful beauty counter with lots of different Korean skincare and beauty products. 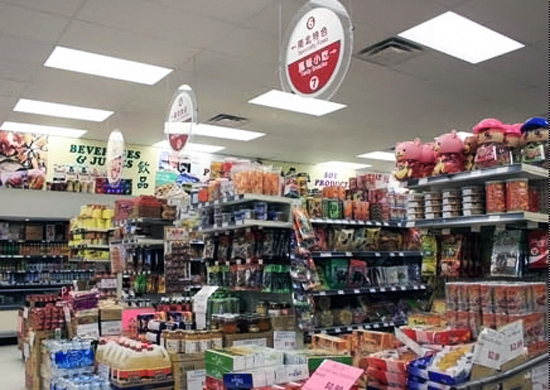 Canada’s largest Asian supermarket chain, T&T carries an extensive mixture of groceries from Japan, China, Korea, and other East Asian countries. Their mission is “to enrich the lifestyle of our customers by bringing Asian-Canadian families fresh foods that they love, and introducing to mainstream Canadian families the diversity of Asian food culture at stores that offer exceptional convenience, service, and value.” T&T is an exciting place where you can find everything you need for a delicious Asian meal. It’s clean, perfectly organized, and clearly labelled and marked. If you don’t want to shop with an empty stomach, try their cafeteria first, which offers lots of fresh and cheap meals. The store itself seems like it has any Asian food you can think of. The staff is kind and knowledgeable and the prices are fair. The only drawback of T&T is its location and poor accessibility if you don’t have a car. If you decide to go shopping at Lucky Moose Food Mart, make sure you don’t miss their seafood department, which offers lots of fresh fish, shrimps, crabs, geoduck, lobster, and Alaskan king crab. Btrust Supermarket is a decent Asian grocery store located in North York. They have a great selection of produce, meat, and seafood from a variety of cultures and a good choice of vegetables and tofu. The store is designed to provide customers with a comfortable shopping environment, large parking lots, and a well trained staff that provides great customer service. The 60,000-square-foot store has opened five new departments: Gourmet, Flower, Bakery, BBQ Kitchen, and Sushi Bar. The bakery section has some delicious packaged castella cakes that are just like the ones you can get at Lawson in Japan. The place is clean and their prices are great, making it the best choice for those living on the northwestern side of the Yonge-University-Spadina Line. 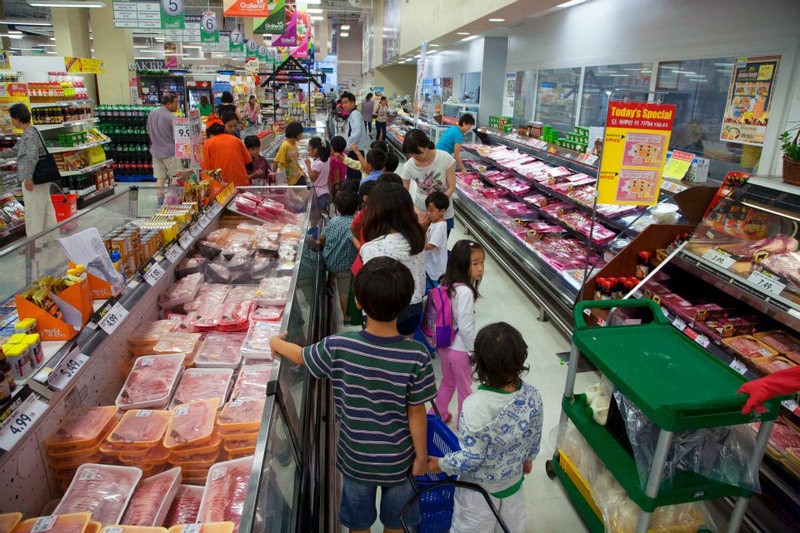 Hmart is a very popular Korean grocery store that is located in a few places uptown. They have a nice selection of Japanese snack food and sauces as well as very fresh and high-quality meat products and seafood. They also carry a wider selection of tonkatsu sauces than you can find in other Asian grocery stores. Moreover, the store carries most of the Korean dietary and lifestyle needs. The store is big, bright, and clean with friendly employees that always help confused customers, as some items don’t have labels in English. In addition, the basement of Hmart hides many interesting pieces of merchandise from Korea, including electronics and furniture. 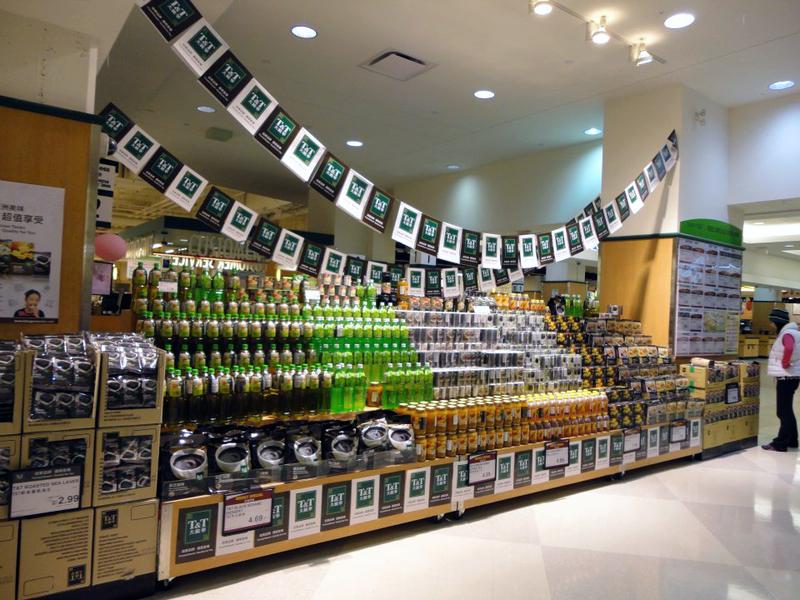 Galleria Supermarket is an awesome grocery store that specializes in Korean products. Their huge selection and great prices don’t allow you to just pick up one thing. It’s a huge store that carries a decent variety of meat, fish, prepared foods, rice, vegetables, sauces, Japanese snacks, condiments, and fresh ingredients. It’s the only store in Toronto that has house brand tomato hayashi rice roux. Galleria Supermarket also features a casual, fast-food dining area where you can get fresh pastries, soup, maki, and much more. The store is neat and tidy with all items perfectly organized. If you’re a fan of Korean cuisine, Galleria Supermarket is a place you shouldn’t miss.